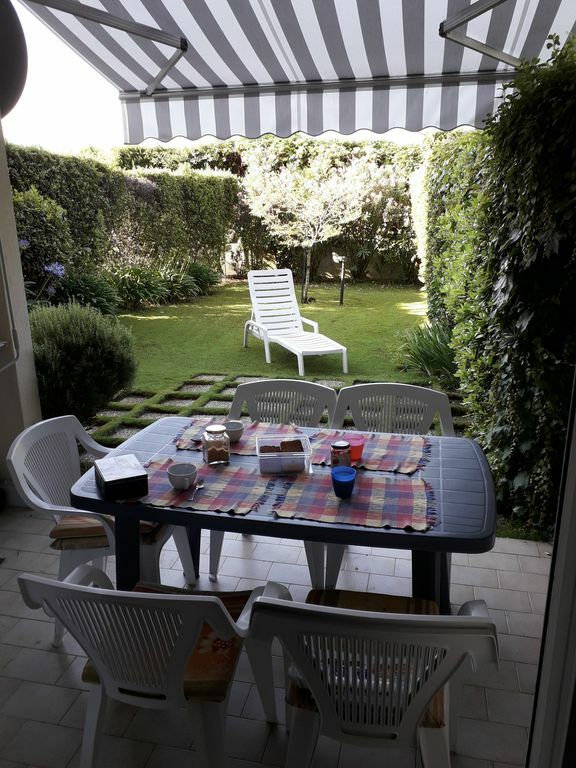 Cote d'Azur 6 km from Cannes, 3 room apartment, 2 bedroom for 4 person, living corner couisine, sleeping 2 bed in sofa, beautiful garden of 80 mq equipped with table and chair, bathroom with shower wc and bidet + bathroom with sink. Very quiet, comfortable, washing machine, dishwasher, microwave, TV + decoder Italian channel air conditioning. Recent construction facilitates parking 1,5 km from the beach and 2 km from the center. "Ambiente molto bello, tranquillo, comodo e pulito. Casa molto accessoriata. Raccomandabile. Très beau, calme, confortable et propre. Maison de nombreux accessoires. Recommandée."